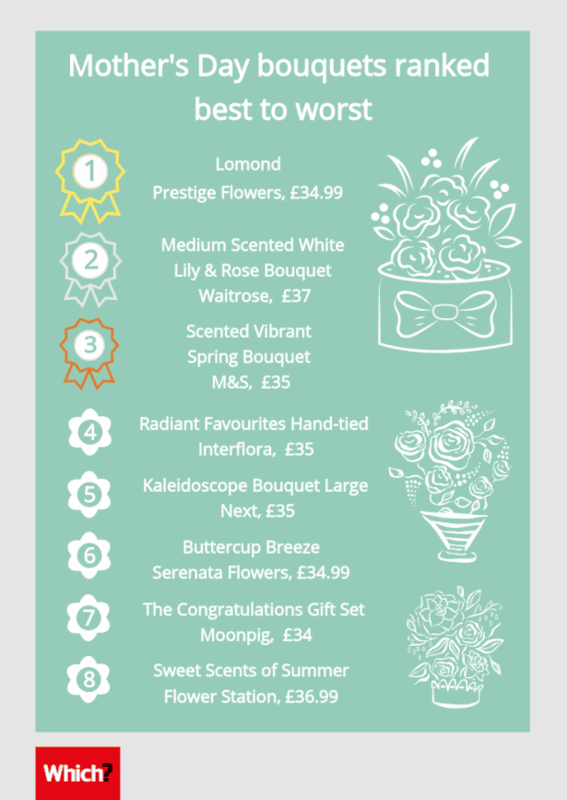 We’ve named Prestige Flowers’ Lomond bouquet the best for Mother’s Day, on Sunday 31 March 2019, after putting eight of the biggest online florists in the UK through their paces in a head-to-head Which? test. At the time of our test, we weren’t able to order bouquets specifically labelled as being for Mother’s Day, so instead we ordered bunches containing flowers commonly paired together for Mother’s Day – roses with germini and/or lilies. The bouquets were priced between £34 and £37, excluding delivery. Taking all of these factors into consideration, we’ve ranked the bouquets from Marks & Spencer, Waitrose, Next, Interflora, Moonpig, Prestige Flowers, Serenata Flowers and Flower Station from best to worst in the list below. Last year, Moonpig was named the best online bouquet for Valentine’s Day 2018. Serenata Flowers, M&S and Waitrose got full marks from us for matching the online picture. Prestige Flowers and Waitrose impressed us the most on arrival, standing out as the most striking bouquets of the bunch, thanks to their stylish visual appeal. Interflora, Next and Prestige Flowers only made minor changes to their bouquets so we scored them highly for matched appearance. However, Flower Station and Moonpig’s bouquets arrived looking significantly different to what we ordered, which let them down in our scoring. When it arrived the brassica, phlox and eucalyptus had all been substituted. 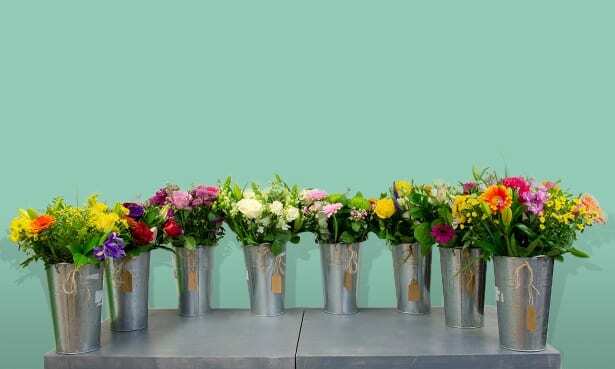 The Flower Station website states it may make suitable substitutions of flowers, depending on stock availability, but that it would always aim to notify customers of such a change. We didn’t receive any information of the changes made. However, although the bouquet was looking tired after a week, the roses hadn’t flopped as much as in the other bunches we reviewed, and the lilies were nicely open and scented. Moonpig’s bouquet, part of its The Congratulations Gift Set, looked much bigger and more impressive in the picture. The lilies and lisianthus that arrived were very small. It’s worth noting that after a week, Moonpig’s bouquet was still one of the freshest. Unless the retailer clearly explains that the type and colour of flowers may vary, it must provide you with exactly what you order. So if the flowers you receive don’t match the description given or your Mother’s Day bouquet is missing flowers, you can reject them and ask for a refund. The Flower Station bouquet arrived looking mostly bright and fresh, but had a bit of tearing on the rose petals and white marks on the lisianthus. One lily had brown markings on the outside and one of the lisianthus buds arrived snapped. Next’s large Kaleidoscope Bouquet arrived looking box-shaped like the slender box it arrived in. The stocks also appeared a bit squashed and the peach germini had petal damage. We did note Next’s care notice, which said its flowers would arrive ‘sleeping’ to preserve longevity, so may appear wilted on arrival. Indeed, a couple of days later, most of the flowers had perked up and stayed looking good even after a week. 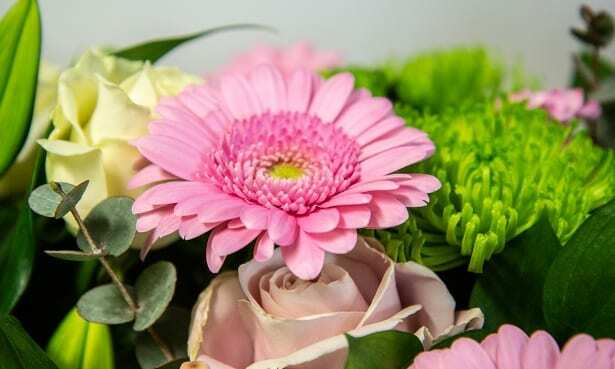 If your flowers arrive in a sorrowful state, such as wilting or with browning petals or leaves, they are not of satisfactory quality and you should be entitled to a refund. Waitrose claimed its arrangement will make a wonderful display for seven days on its website. But after a week, both types of roses in the bouquet had flopped and dried out, despite us following the detailed care instructions. The snapdragons and lilies still looked good though. The germini on Serenata Flowers’ bouquet were dried up after a week and had started drooping from day three, despite having plenty of water. The roses were also dried and droopy after a week. The veronicastrum still looked wonderful after the week, and we found them a much better choice than the blue Dutch irises featured in other bouquets. ‘If you want a classy-looking bouquet, go for flowers that are a bit more unusual, such as lime-green chrysanths or large white roses: think boutique hotel rather than garage forecourt! ‘Think about the different types of flowers in the bouquet you’re planning to buy before you commit. Will they stay fresh and open up at the same time? She also warned that not all lilies are scented. Asiatic types (often orange or yellow) don’t have a fragrance, so avoid those if your mum prefers scented flowers. Mother’s Day flowers late arriving? All our blooms arrived on time, but if yours arrive late or not at all, you have rights. 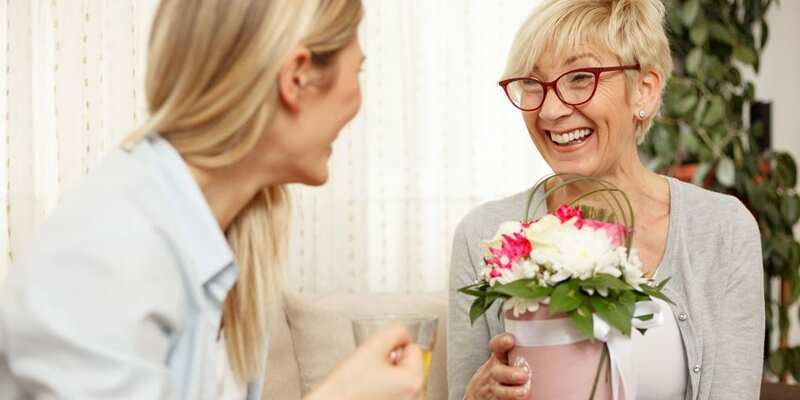 If you paid for your flowers to be delivered by a certain date or time, for example, next-day delivery or on Mother’s Day or Valentine’s Day, this is an agreed part of your contract. So, if your flowers are delivered late, this is a breach of contract and you have the right to terminate the purchase and get a full refund. Read our advice for more information on what to do if your flowers arrive late. Ceri assessed each bouquet on arrival and then again for longevity after one week. 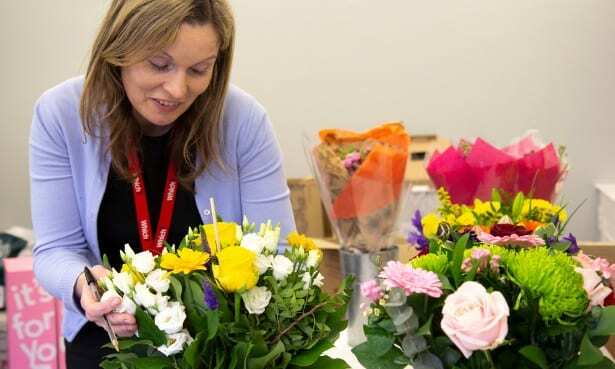 To impress Ceri and the team, the bouquets had to meet the description and image provided online and not have arrived already looking bruised. If the flowers arrived with too few blooms, with damaged flowers or not looking as described, we scored them down. We also assessed the quality and condition of the flowers, the suitability of their packaging, and their value for money. On arrival we trimmed the stems of all our bouquets and followed any specific care instructions included with the bouquet. Throughout the week we continued to follow the guidance of the care instructions where they had been provided. 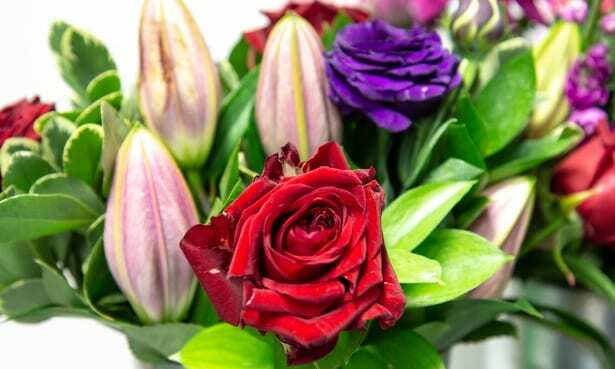 Serenata Flowers, Prestige Flowers, Waitrose and Moonpig provided detailed care instructions. M&S also provided a brief care advice sticker affixed to the cellophane the bouquet came wrapped in. Flower Station, Interflora and Next provided no care instructions, so we topped the water up once during the week as one might reasonably do. If you think your mum would prefer a glass of fizz to a bouquet, head to our food and drink taste tests instead, where we’ve ranked the best Champagne and best prosecco that you can buy in UK supermarkets.